For Our 300th Story, a BCS Ebook Subscription Sale! In celebration of the 300th story to appear in BCS –“The Lighthouse Keepers” by Nicole M. Taylor, in BCS #146–we’re having a sale on BCS ebook subscriptions! 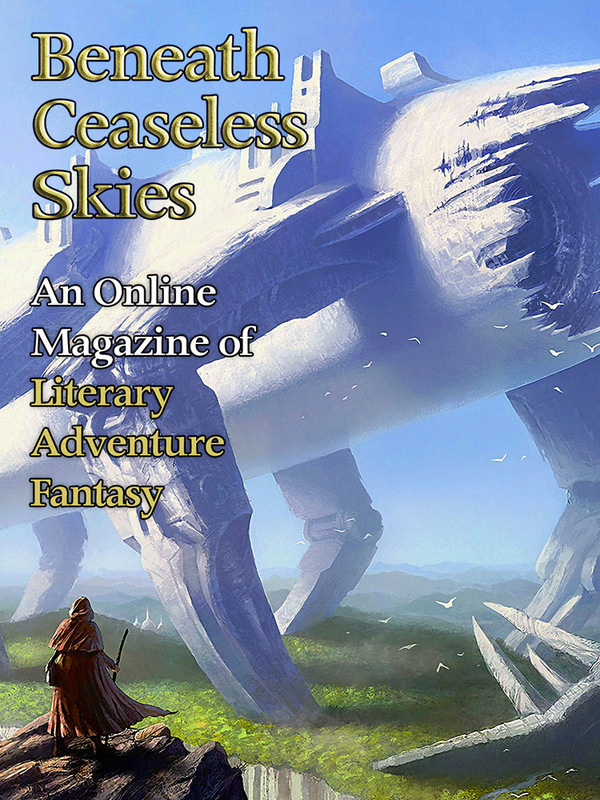 For the fortnight that “The Lighthouse Keepers” and BCS #146 are the current issue on our website, the BCS ebook subscriptions –which are available through WeightlessBooks.com–are on sale for 300 cents off! BCS ebook subscriptions at regular price are only $13.99 for a whole year/26 issues. (That’s 25 cents per story!) During this sale for our 300th story, from now until Wed. night May 14 they are only $10.99 for a whole year. Subscribers can get issues delivered directly to their Kindle or smart phone (any device with an email address), and they get new issues a week early, before the website. Ebook subscriptions are also a great way to support BCS–all proceeds go to pay our artists and authors. Current subscribers can renew their existing subscription at this sale price, regardless of when their subscription expires. Join us in celebrating our 300th story and get a great price on a BCS ebook subscription today! BCS a 2014 Hugo Award Finalist! The 2014 Hugo Award nominees were announced over the weekend, and BCS is a finalist for Best Semiprozine! Thanks very much to all who found us worthy! We are honored to be a Hugo finalist again this year, especially because this honor is for the whole magazine; all our authors and fiction. Thank you very much to everyone who helped keep BCS this year what it has become, including Assistant Editor Emeritus Kate Marshall, Editorial Assistant Nicole Lavigne, all our authors and artists, our guest podcast narrators, and of course every one of our readers and fans. And congratulations to all the other finalists in Best Semiprozine: Apex, Interzone, Lightspeed, and Strange Horizons.Those four magazines show up often in our BCS Authors Elsewhere posts of our author’s stories appearing in other magazines. 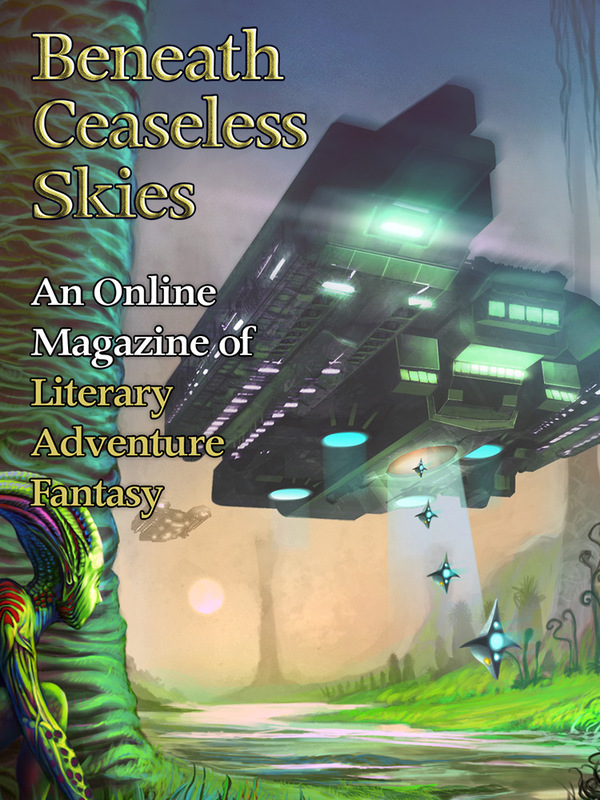 It is a great age to be a F/SF short fiction reader, with such a panoply of vivid and diverse magazines, all with their own unique voice. 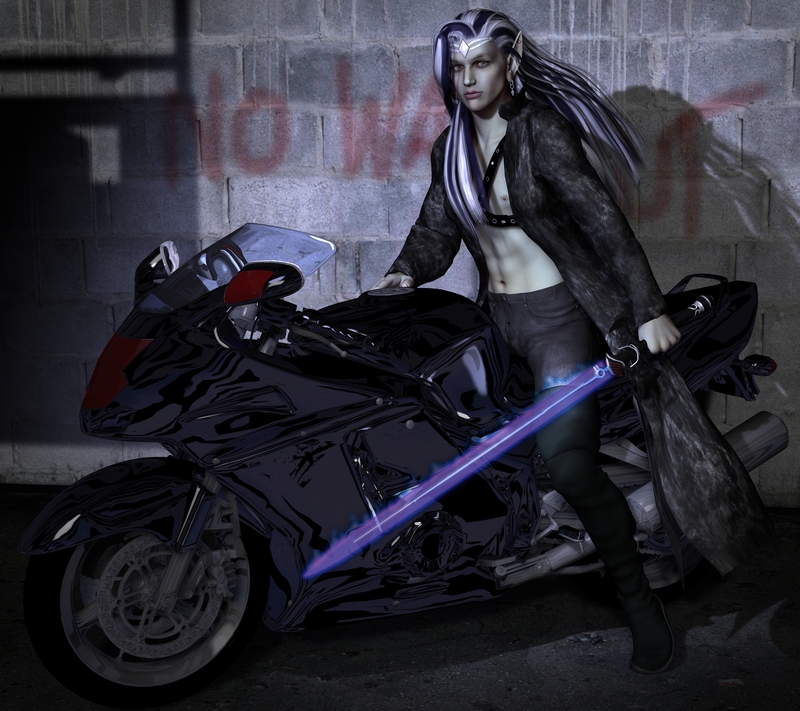 BCS is proud to announce our expansion into a real world new to our pages: urban fantasy. This vibrant segment of fantasy fiction has countless imaginative authors and dedicated readers, who savor tales of vampires, werewolves, troubled teenagers, and hardscrabble young adults, all moving through the gritty vividness of our own contemporary, real, modern world. Character-driven stories set in these tangible, familiar, real worlds can be just as entertaining as literary adventure fantasy, and can comment just as profoundly on what it means to be human. If a roof-scaling thief or a clockwork airship captain or a battle-seared knight can explore our human condition, then why not a vampire hunter werewolf or an undead barista or a demon from the suburbs? This gorgeous artwork, “Der Erlkoenig” by Shalen Hamar (used by kind permission of the artist), is a great example of literary urban fantasy–a work of classic fantasy literature reimagined in an urban fantasy context. Locus online last year credited BCS with raising secondary-world fantasy short fiction “from the midden of disdain.” Now we will raise urban fantasy short fiction from the dumpster of disdain. We will give literary urban fantasy short fiction its own dedicated home. Starting this summer, BCS will feature one urban fantasy theme issue every month, with custom commissioned artwork, including animated images and even short movies. The podcasts in these literary urban fantasy issues will include a new podcasting medium that no other magazine in the field to our knowledge has done: video podcast narration. Now not only will you hear the narrator read the story, but you’ll also be able to see them read the story; to watch them at the microphone as they express and emote the author’s vision for their world and characters. We look forward to bringing our readers this rich facet of fantasy fiction, written with the same literary flair and focus on the characters as all BCS fiction: literary urban fantasy. This weekend BCS will be at Boskone, one of the long-running Boston-area F/SF conventions. I will have the omnipresent stack of shiny gorgeous BCS flyers and postcards. If you see me in the halls, after a panel, or at the bar, feel free to say hello! BCS reported our circulation statistics for 2013 to Locus magazine, for their annual February issue that lists such data for magazines in F/SF short fiction. We will also post them here. In 2013, BCS published published 26 issues, containing 55 pieces of fiction (42 stories and 13 novelettes; all originals). We also released 22 podcast episodes. BCS averaged 32,000 unique web visitors per month in 2013, up from up from 25,500 in 2012. The BCS podcast averaged 5500 downloads per episode, up from 4000 in 2012. Many episodes from past years continued to receive 2000-5000 new downloads in 2013. Highlights of 2013 included a Hugo nomination for Best Semiprozine, three World Fantasy Award nominations, a Parsec Award nomination for our audio podcast of “Boat in Shadows, Crossing” by Tori Truslow, and “The Telling” by Gregory Norman Bossert winning the World Fantasy Award for Short Story. Overall, our biggest year yet at BCS! Thank you to our readers and fans, and we look forward to 2014.